We've made it to Thursday, everyone. Is it just me or has the week sort of slowed to a halt? I think it's because next week's going to be a short one. As such, we have to make this week longer to compensate. Otherwise, space-time and all that gets messed up. Thankfully, Powerhouse is seeing me through the day. Also, I'm looking forward to playing some games tomorrow night. So that's something to look forward to. In the meantime, let's make sure your gaming tables look as good as possible. 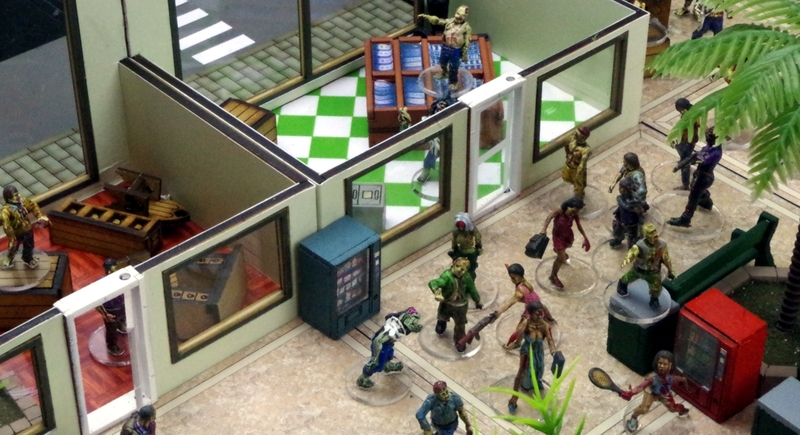 Today in our Terrain Corner we have: Warlord Games Taking Pre-orders For Project Z Terrain, Deep-Cut Studio releases nature tiles on mousepad material, New 28mm Shopping Mall from Sally 4th Coming Soon, New Armorcast Ruined Highway Overpass Coulmns, and Urban Sector: Pwork Wargames science fiction gaming mat Now Available. 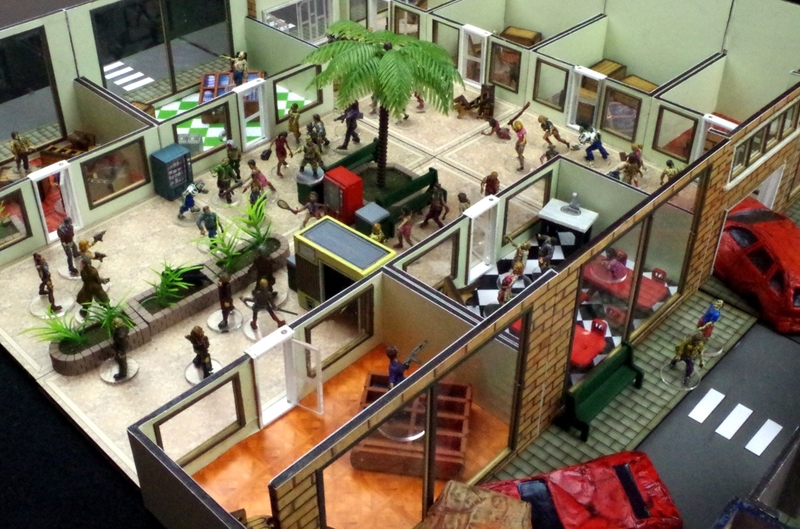 …wait – what are those strange noises coming from those air-conditioning units…? more terrain tiles on mousepad material became available on our website! 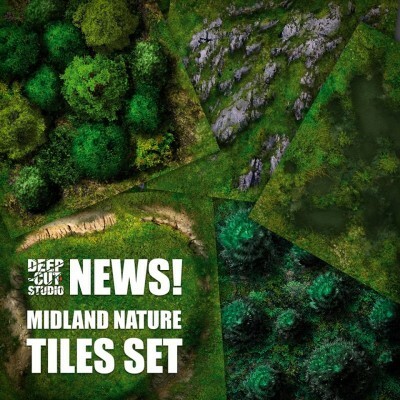 Midland Nature tiles set has all you ever needed to create a vibrant nature inspired gaming table for your battles. A set has loads of forest tiles, hills, various difficult terrain options and is ready for immediate use with any background. Check it out at our gallery! 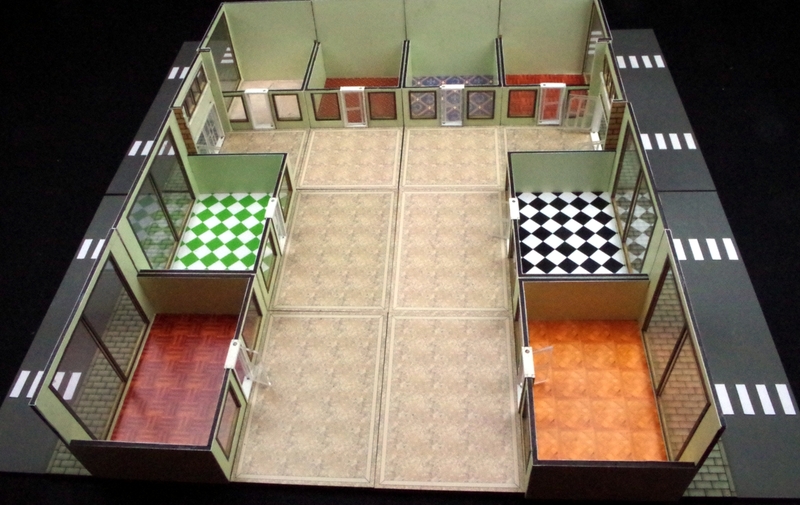 Four shopping mall sets have been designed. 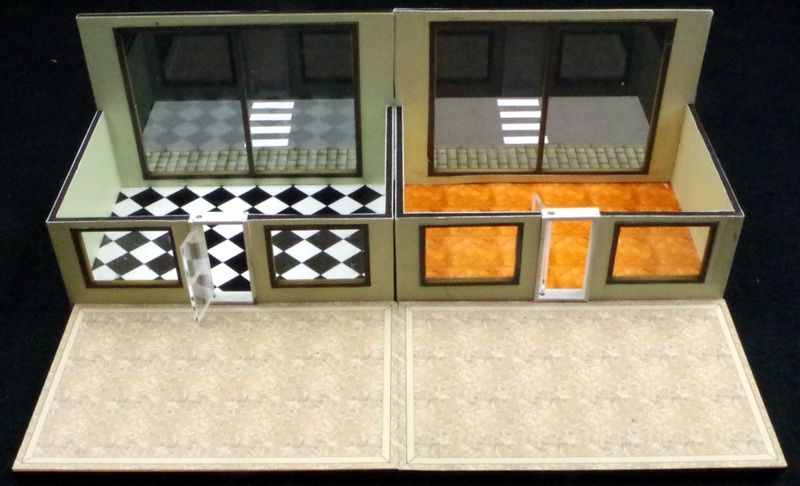 These sets can be put together to build an indoor shopping arcade of any shape or size. Today’s release is the first straight section of shops. Contains 300mm x 300mm Base, Building blocks with glazed windows and opening doors and professionally printed cover sheets with a choice of floor coverings for shops. •Compatible with all off Terra-Block Range. Boards designed with pavements the same height as terra-block pieces, to enable you to put together buildings and rooms using any terra-block pieces and re-arrange them between paved sections so that each game you play on terrain is potentially different. 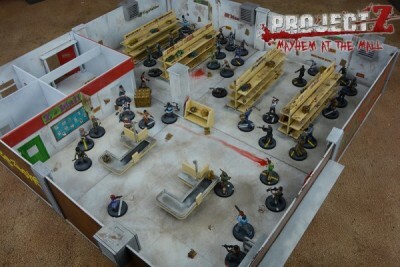 Ideal for 28mm skirmish gaming, post apocalypse, near future, steam punk, modern, zombie, pulp etc. Board has 'zebra crossings' engraved to allow it to be used with popular zombie themed board games that use movement by zone, if you do not want these markings pavement can be glued to the other side of the board. Kit requires assembly. Furniture and accessories from Terra-Block range not included, but available separately. Dilapidated cities, be it modern day Detroit or post-apocalyptic Los Angeles, highways fall into disrepair and sections collapse. 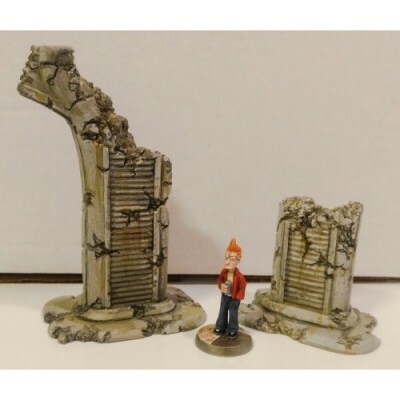 This kit contains two ruined columns for the new Armorcast Highway System. Cast in resin, supplied unpainted in 28mm scale. Designed by Shawn Lux. Figure of Slacker Delivery Boy 3000 shown for scale and sold separately. 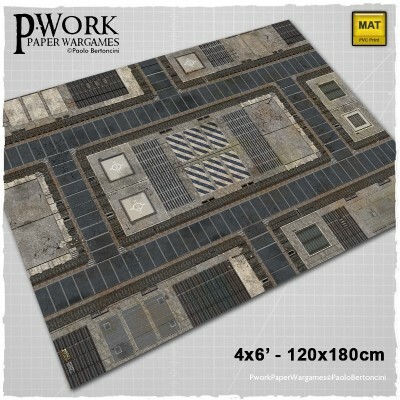 The Game Mat Urban Sector is a PVC or CLOTH made rollable terrain mat, ideal for wargames, in size 4x6’ (122x183cm), 4x4’ (122x122cm), 3x3’ (92x92cm), 3x6' (92x183cm), representing the scenery of a quarter of a futuristic city, a theater of battles and firefights where there the transits of soldiers and armored vehicles are evident. 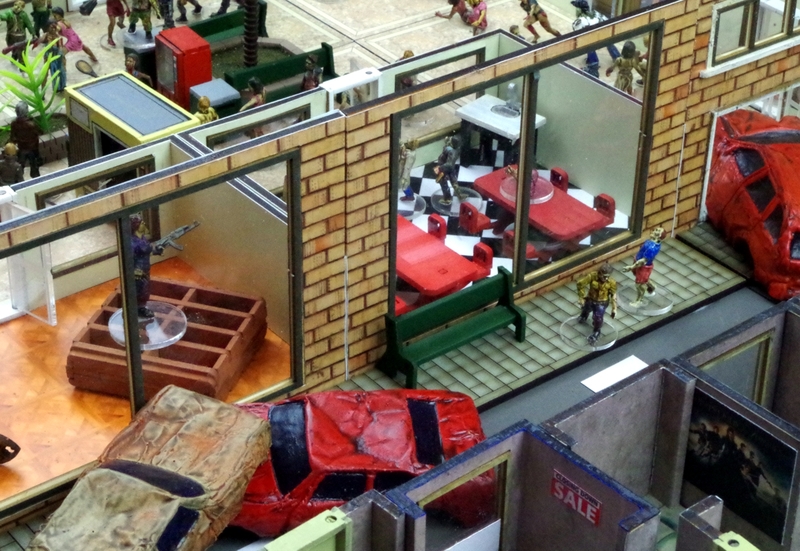 The Wargame Mat Urban Sector offers the possibility of setting battles between armies of miniatures among concrete buildings disfigured by bullet holes, paved roads cracked by cracks and metal paltforms rusted by time. The mat is a perfect Science-Fiction setting for futuristic game play on a city war-ground, and also for steampunk or historical battle locations! Are you ready to battle?